Apples and oranges. Supposedly, you can't compare the two because they're different. You need a sharp tool to peel and slice an apple whereas your fingers will do for the orange that comes conveniently presliced. There is no such thing as orange pie. The orange is softer and hurts less when thrown at you. On the other hand, there's more risk the juice will squirt in your eye while peeling. Bottom line, they're both fruits that come in numerous varieties, some sweet, others tart or sour, each an excellent source of Vitamin C. There's nothing wrong with comparing apples and oranges when you understand it's a subjective comparison. Neither is better save for your personal preference. When comparing Paul Pogba and Cristiano Ronaldo, personal preference probably isn't anywhere near as close to 50/50 as it is with apples and oranges. If both showed up at Hackney Marshes for a Sunday kickabout, most captains would select Ronaldo with the first pick. Five-hundred-eighty-two career goals and counting will earn you that honour. Then again, the other guy has a World Cup winners medal. This isn't about stats and trophies won, however. It's about qualities more difficult to measure, such as commitment and professionalism, and why one seems to have it in spades while the other has apparently dug himself a sizable hole for their lack. Ronaldo is first picked in the maturity department, hands down. The thing is, we're talking about a 33-year-old who's come a long way in the personal development category as well as honing his skills. Pogba is a 25-year-old who doesn't yet understand his toughest opponent is one that defends its perfect record against all comers: time. Ronaldo was 25 once and much further along in his career than Pogba. At that age, he played his first season at Real Madrid, Manuel Pellegrini's only session in charge at the Santiago Bernabeu. The Chilean used Ronaldo less than any Merengues boss who followed, trotting him out in just 35 of the 48 games played in the 2009/10 campaign. Cristiano still contributed 33 goals and 12 assists. You may think underusing the Portuguese led to Pellegrini's dismissal. Except to this day, he holds the highest winning percentage among all Real Madrid managers who completed at least one season. His 75% just ekes out Carlo Ancelotti's 74.91. Pep Guardiola and Barcelona were just too good that year, much as Manchester City is now for the rest of the Premier League. Pellegrini couldn't use Ronaldo in 13 matches due to suspensions and an ankle injury. It may not have seemed so then, but the time on the trainer's table allowed Ronaldo to ease into La Liga with less pressure on him to prove his worth. It's been a different story for Pogba. That's what Mourinho said about Manuel Pellegrini 8 years ago. Today he might be sacked after United lost 3-1 to West Ham. Prior to this season, the two players had two managers in common. Each played for Sir Alex Ferguson and Jose Mourinho. Ronaldo's spoken about both. He offers respect for Mourinho's tactical acumen but stops short of the passion he shows for Sir Alex, whom he describes as a "father for me in football." While he said he would work with Mourinho again after the coach left Madrid, he cared little whether his countryman or someone else was in charge when the coach was under pressure at the Bernabeu. It doesn't matter to me. What matters to me is my future and the club. Under Mourinho, he was in his prime, fully mature, scoring 40+ goals regardless who was managing, winning Ballon d' Ors and otherwise being untouchable. Under Ferguson, he was afforded every opportunity to reach that level. That was no simple process. Ronaldo considers his time with the Scot as his rite of passage into manhood and it took every ounce of Fergie's patience. CR7 at Old Trafford was strikingly similar to Pogba. A showoff who loved to take on defenders one-v-one rather than picking a pass to move the ball quickly, he went down at the slightest touch, stayed down while beseeching the referee, then served up tantrums when the call didn't come. He rarely tracked back when possession was lost. He seemed preoccupied with style at substance's expense. Even so, Sir Alex kept him in the first team from day one until he finally showed promise in his third season, when he registered 12 goals and nine assists. The next year, he more than doubled those totals. In his first year, he played nearly 2,000 minutes, more than 1,500 in the Premier League. The next campaign he topped 3,000. Combined, he racked up 15 goals and 18 assists. In Pogba's first two seasons upon returning to Old Trafford, he produced identical numbers, albeit in about 2,000 more minutes from a much deeper position. Apples and oranges? A key difference was Sir Alex's reticence to offer Pogba any minutes at all, much less the abundance he gave to Ronaldo. In his last season at Old Trafford under the Scot, Pogba enjoyed a mere 68 minutes in the Premier League. He logged over 1,300 in the reserves. Yes, he was 19 but Ronaldo was 18 when he came to United. The Portuguese logged more minutes in the top flight that season than the French teenager did in the B team before leaving the club. It was Max Allegri who trusted Pogba in Turin. 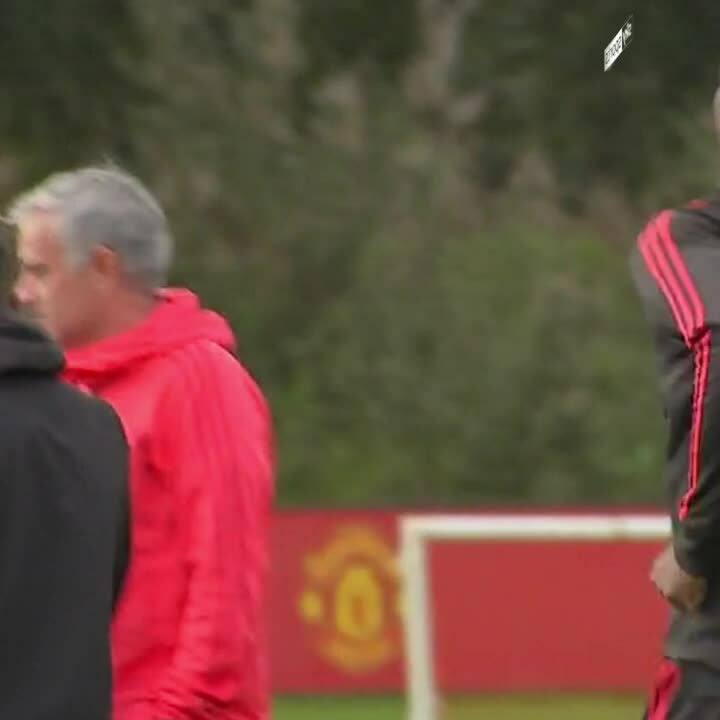 #pogba catching jokes with #Allegri during training session ..
Another contrast is the demands made on each at Old Trafford. Ronaldo summed up his early United years eloquently. All my coaches have been important but when I arrived at Real Madrid I was a man. When I arrived at Manchester United I was a boy. All of a sudden, you are at one of the biggest clubs in the world, and at that time I needed somebody like Sir Alex. When Pogba returned to United he was neither a boy nor a man. Call him a man-child if you will. In Turin, he was sheltered. The Bianconeri were a veteran-laden squad, Pogba the precocious little brother who tagged along everywhere. Ronaldo had the same experience in his time at United. When he went to Madrid on a world-record transfer, however, he had that "lucky break' that lifted some of the pressure. Pogba returned to United in the same manner [his was also a world-record transfer] but was thrown into the deep end. Expectations heaped upon him were both unrealistic and foolish. No club boss ever made Ronaldo team captain. Why would you? Mourinho handed Pogba the armband on a temporary basis then made a public showing of taking it away. Pogba needed a coach who protected him in public but drove him hard in private. He had the opposite. After the World Cup, a reporter asked France coach Didier Deschamps why Pogba was so productive with Les Bleus but not with the Red Devils. Deschamps responded that the player was happy to be in the France camp. One day, someone may ask Pogba. It wouldn't be a shock to hear him refer to the former Marseille boss as a father figure. Jose Mourinho is not a father figure unless we're counting the abusive ones. A patriarchal manager is what Pogba needs to realise his potential. He and Mourinho are not apples and oranges; they're oil and water. That said, each wields a measure of power at Manchester United. The Special One is the boss but Pogba's social media presence and commercial appeal carry significant weight with chief executive Ed Woodward. It's possible that influence diminishes Mourinho's authority with the squad. If he feuds with a player who is backed by the board, how can other players take Mourinho's antics seriously? Selling Pogba resolves the issue, I suppose. Perhaps United can make a profit in cash terms, but the opportunity cost makes transferring the Frenchman a huge loss. 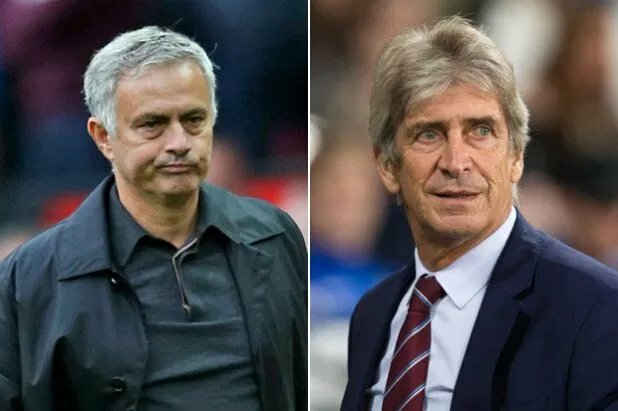 Sacking Mourinho solves the problem only if United identify a replacement who can transform young, immature players with greater success in shorter order with less breakage. Zinedine Zidane tops that list, although Deschamps and at least one other might do the trick too. Ronaldo would certainly recommend his former Madrid boss. We had not started well, but then Zidane arrived and was the catalyst for one of my best-ever seasons... It was a great season for me and Real Madrid, and the right coach can be that inspiration. In one sense at least, Cristiano Ronaldo and Paul Pogba are two apples plucked from the same barrel. Both arrived at Manchester United as boys. So far, just one has left a man. It demonstrates just how important a good father can be.